How to prevent your Best Employees from Quitting. 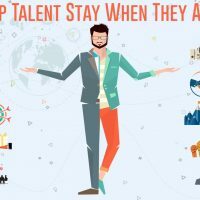 Given the talent wars we’re engaged in and the cost of bringing new talent in, employee retention has become the Golden Goose. 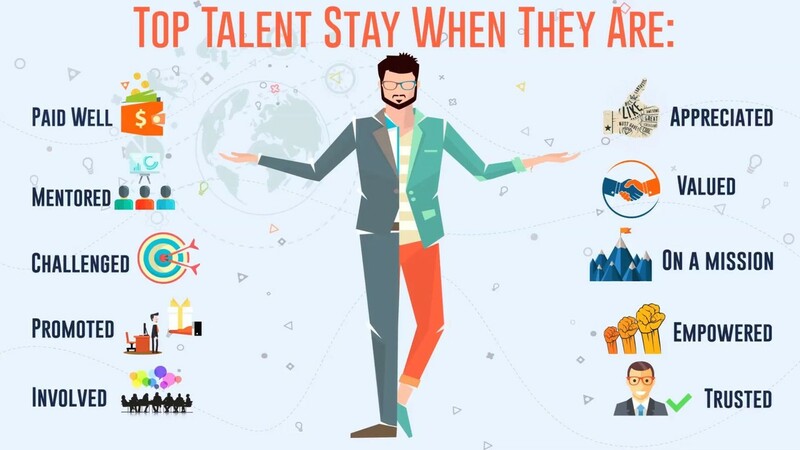 So advice on how to keep superstar employees from leaving and how to avoid toxic behaviours that cause turnover are gold nuggets in their own right. That’s right, when people are having fun, they don’t want to leave. The key is to approach job design with a flexible mindset, looking for opportunities to mold in more enjoyable, beneficial work elements for the employee. For example, one supremely skilled finance person was considering leaving a company to pursue a teaching career, something he absolutely loved. So they co-crafted a role for him where nearly a third of his job was dedicated to teaching cross-functional partners the basics of finance and how to work with people in finance. A win-win. Introduce employees to their end customer (Medtronics medical equipment engineers have watched formerly paralyzed patients cartwheel across a stage at an annual meeting–thanks to their work. Gather stories for your employees (Volvo engineers get to read stories about their beneficiaries from the “Volvo Saved My Life Club”). When a very high ranking person in a company took over a business unit, they began focusing on each team members strengths and how to better leverage them, not on their opportunities they need to improve. It felt like a revelation in a company that used a ranking system for employees and reminded me what an untapped opportunity it is to simply give mind space to fully leveraging an employee’s strengths. So we got her involved in planning big meetings for other divisions (which she loved). She excitedly carried the extra responsibility for a few years while still excelling at her core role until she eventually evolved into a full-time meeting planner–the best use of her talents for the company.